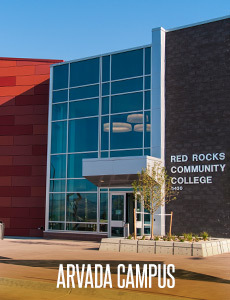 The RRCC Arvada Campus is home to RRCC’s health programs as well as an associate degree and general education courses that transfer to four-year institutions. A large campus expansion is in progress, which will allow us to meet the growing health care needs of our community with state-of-the-art instructional space for health sciences, enhanced curriculum for inter-professional education across healthcare programs, room for expanded enrollment, and new programs in step with industry demands. Our Health Sciences programs feature high-demand fields in physician assistant, diagnostic sonography, radiologic technology, RN refresher, nurse aide, medical assisting, holistic health, home health aide, and hospice care aide. Plus, new 4-year transfer pathways are underway with CU-Boulder (nursing) and Metropolitan State University (social work). Learn more about the Arvada Campus here! The RRCC Lakewood Campus is located minutes from downtown Denver to the east and the Rocky Mountains to the west with easy bus and RTD Light Rail access. The rolling hills of our grounds make for beautiful views and support an active community with a sand volleyball court, tennis/basketball courts, running track, and walking trails. 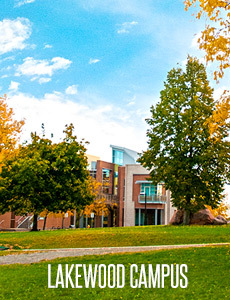 The Lakewood campus offers full student success and support services including admissions, assessment, advising, financial aid, tutoring, college prep, career services, and a student project center. Our book store provides new and used text books, snacks, gifts, and school supplies. Students with disabilities can find support and services, including an Assistive technology lab in Accessibility Services. In addition to academic support, the Lakewood campus offers a cafeteria and coffee shop, a children's center, a Student Health & Counseling Center, recreational facilities, and a fitness center. Learn more about the Lakewood Campus here!